It is celebrity wedding season now and our Social Media Pages are flooded with images of Bollywood A-List stars getting married. Even though there are various types and varieties of marriages in India, the one that everyone wishes to follow is the North Indian wedding. The Mehendi, Sangeet, Haldi, Pheras, Vidai, and many more activities make North Indian weddings long and eventful. Various elements of North Indian wedding such as the Haldi and Vidai are adopted and incorporated into all kinds of the wedding these days, irrespective of the geography, language, or culture. Vidai ceremony is undoubtedly one most emotional and divine moments of the wedding. After many days of joy and laughter, it is at the moment of Vidai the realization of leaving a house behind and joining another family sink in for the bride and her loved ones. Although the ceremony is accompanied by sorrow and tears, it is a moment of fulfillment. 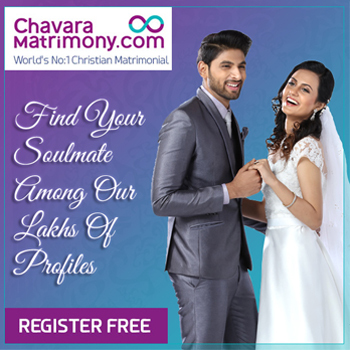 The fulfillment of parent’s wish to get their daughter/son happily married, fulfillment of the bride’s and groom’s yearning to start a life together. According to Indian tradition, Vidai is a ceremony that marks the end of wedding celebrations and the beginning of a beautiful relation. Vidai is more significant for the bride as she is the one is leaving her loved ones and her home to join her husband and to begin a new journey. In Indian ceremony, the Vidai is performed after all the Pheras and Kanyadaan. During the Vidai ceremony, a procession of relatives and friends will accompany the bride till the doorstep. While crossing the doorsteps, the bride will throw a handful of rice and coins over her head. Throwing the rice is a token of gratitude; the bride is thanking and symbolically paying back her parents for all the love, nutrition, and care she received from her parents. There is more than one significance to this ceremony; it also symbolizes the spread of wealth and prosperity from the hands of the bride. Moreover, girls are considered to be the manifestation of the deity of wealth and prosperity, Goddess Lakshmi. The rice ceremony is followed by a tearful farewell. Bride’s family and friends bid farewell and good wishes to the bride before she leaves. The father of the Bride takes her to the car, chariot, or Dholi which is designated to take her to her new home. The father entrusts the safety and goodwill of his daughter to the groom while leaving her in the car or Dholi. The Bride’s parents will also wish her in-laws and request them to take good care of their princess. After this, the car takes off or if it is a Dholi, the brothers and cousins of the Bride will push the Dholi. As the car leaves coins are thrown into the air to ward off evil eyes and to bless the couple’s journey. Vidai signifies the universal truth that you have to leave something to start something new. The ceremony makes the parting memorable, emotional, and cherish worthy.